150,000 orchids lined the runway at Dior’s couture show in Paris on Monday. 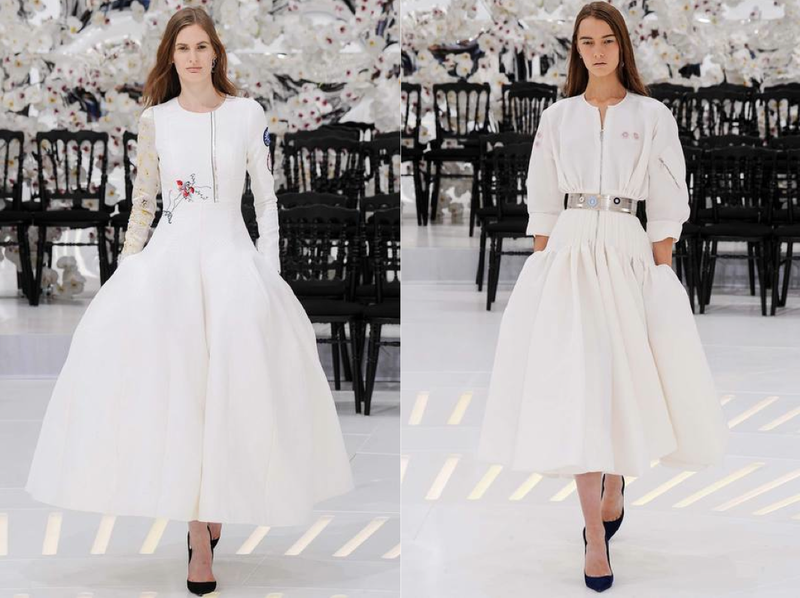 Raf Simmons did the complete opposite of when Christian Dior introduced The New Look, with it’s restrictive wasp-waisted, bar jacketed silhouette, in the 40’s. Taking over the reigns for John Galliano as creative director, his first show left a lasting impression by embracing all things natural with a series of relaxed silhouettes. 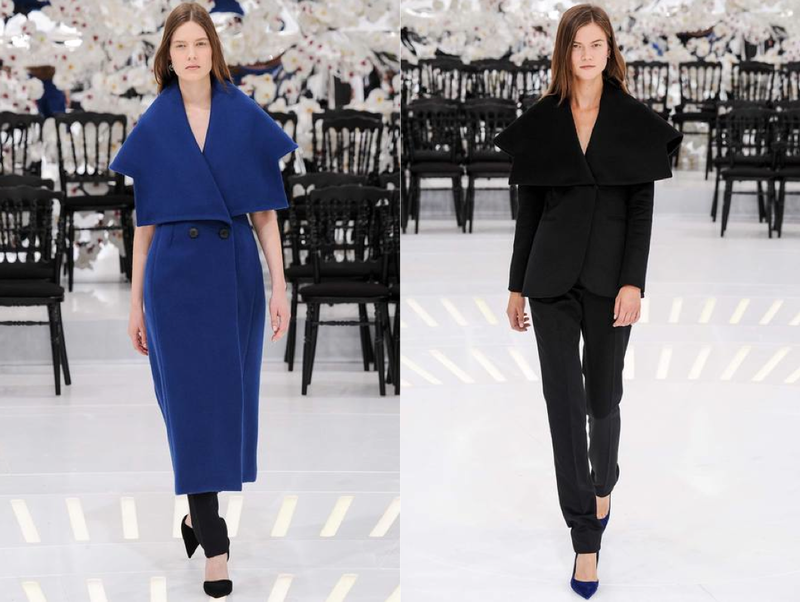 For the first time in a long time, couture for everyone appeared to be the aesthetic. 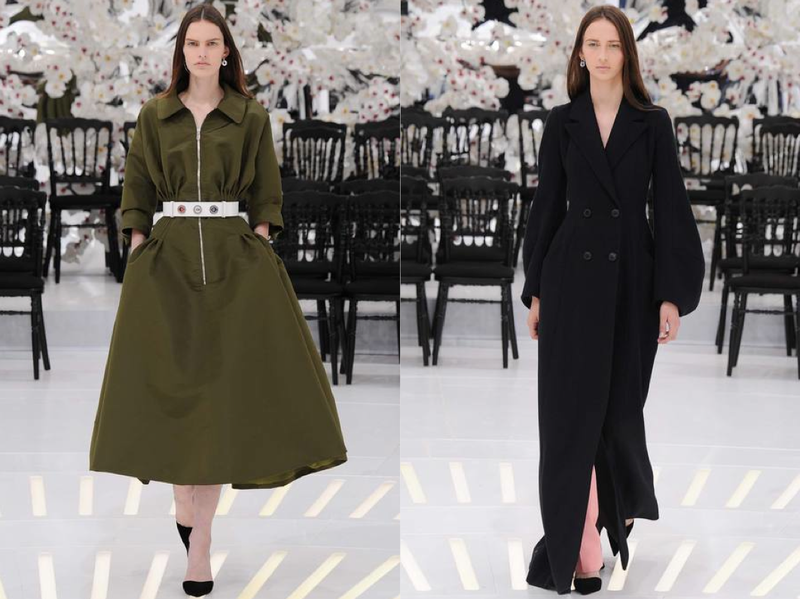 After all, when couture shows feature sneakers and the fashion crowd are seated front row in a pair of Birkenstock’s and other minimal footwear; it’s not hard to let that craving for comfort trickle up to even the realm of haute couture. A slew of models twirled around in bell-skirted white gowns, that managed to avoid any debutante associations. Let’s not forget about the oh-so-practical hidden pockets helped with that effect. 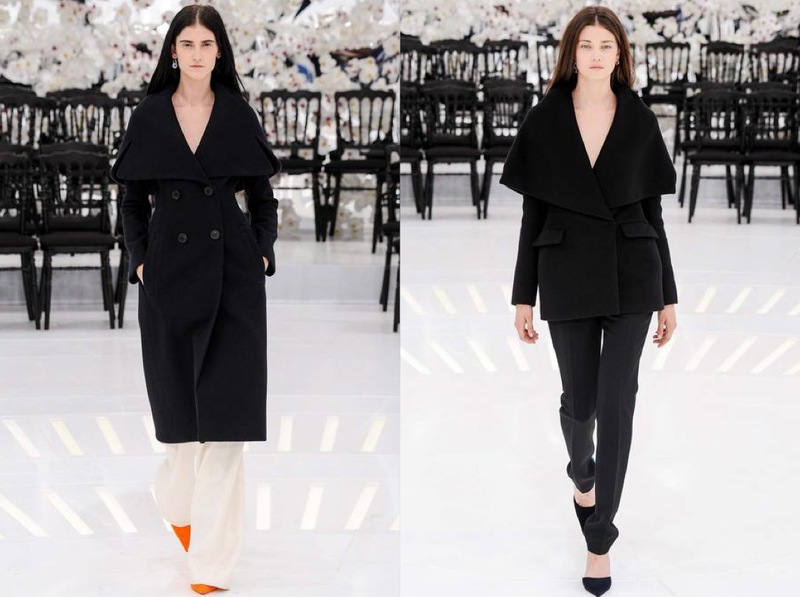 Eventually, the show proceeded to the more wearable looks: sharply cut cape coats paired with relaxed mannish trousers are just the bulk of the Chicest Degree’s favorites from the lineup. During the week where luxury ateliers practically compete to see who can beat the amount of pearls per inch record, the craftsmanship was beautifully restrained – for example, on a bright blue slip of a dress with arrow like embroideries or a series of looks with subtle floral accents. Call it the Philo effect, all of the masters of classicism and such as Chanel and Giambattista Valli for example; now all seek to speak to the modern woman, while catering to her sartorial lifestyle filled with fancy dress-code centric happenings. Raf’s undeniable preference for minimalism didn’t go unnoticed, the Maison’s archival bar-jacket was reworked into super cinched boiler suits and tulip shaped ball gowns that have nothing of the straight laced attitude of the formalwear of yarn. Nonetheless here are exquiset clothing that you’d want to wear with undone hair and trainers almost everywhere, including a trip to Lifethyme natural market to buy ‘Kale Daddy’ innocent ice pops on the Avenues of America, just cause. That’s not a typo in the beginning people – 150, 000 orchids to cover the walls had to die for Raf’s sartorial vision could live, and we’re here for it.